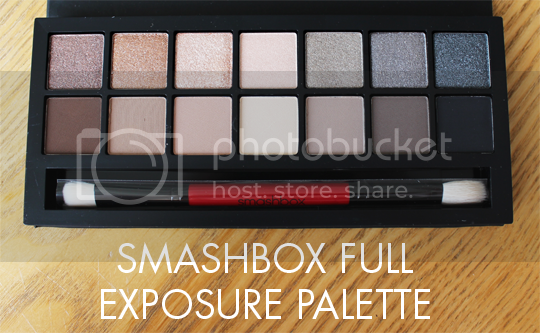 I’m sure I’m not the only one who nearly fell out of my seat in a fit of ‘ohmygod-that-looks-like-the-greatest-neutral-palette-ever’ excitement when I first clapped eyes on the Smashbox Full Exposure palette*. Having loved their Heatwave palette last Summer, I had super-high expectations for Full Exposure so I’m very sad to report that it hasn’t quite lived up to them. It really is a thing of beauty, when you’re looking at it. When you’re using it, it’s rather less dreamy. 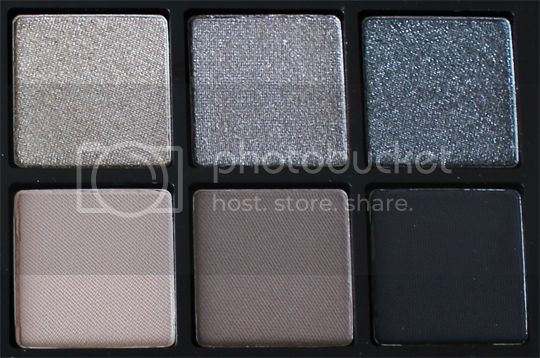 I’ve seen so many people hailing these eyeshadows as incredible, and I can’t help but wonder if we’re using the same palette! 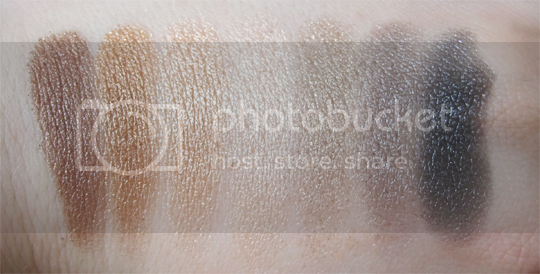 I mean, don’t get me wrong, it’s not bad, it’s just not as amazing as I expected it to be in comparison to some of the brand’s previous palettes. 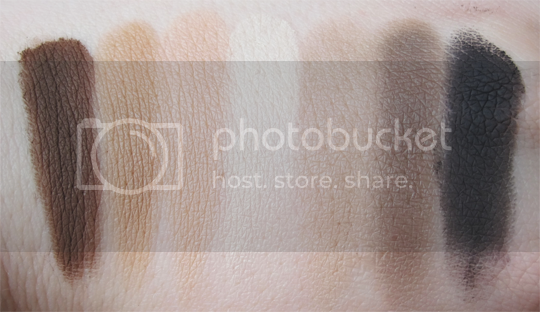 About half of the shades are lacking in pigment (although there are some serious standout ones like the leftmost shade on the matte row), and they all feel a little dry rather than the buttery, blendable delights I’ve come to expect from Smashbox. Sadface. If you’re hoping to be able to create a full look using just the shimmers, you’ll be sorely disappointed as these just don’t work well on their own and blending them just makes all the shimmer disappear, not to mention you’ll be on a fast train to Fall Out City. The best way I’ve found to make use of the palette is to create the base of your look with matte shades, and then if you want to add some shimmer then gently pat the shimmer shades over the top. NO sweeping motions, else you’ll end up with glitter all over your face rather than on your eyes. Luckily, it’s not all bad news. There are some inclusions which make this product slightly more palatable (see what I did there?! ), in the form of a really excellent double-ended shadow brush, a mini Full Exposure mascara and the piece de resistance, the Eye Shape chart. 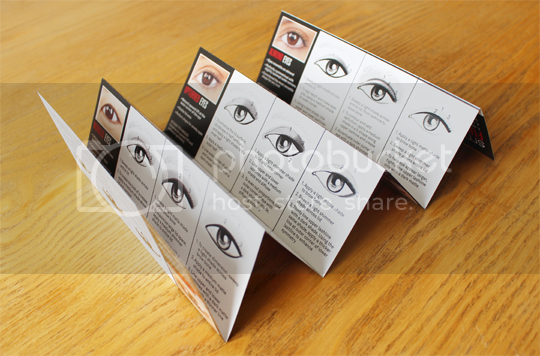 Smashbox makeup artists have studied over 5000 eyes over the last few years in a bid to create the ultimate guide to application for any eye shape, and the info and tips you’ll pick up from this leaflet can be carried forward and put to use with any eyeshadows. 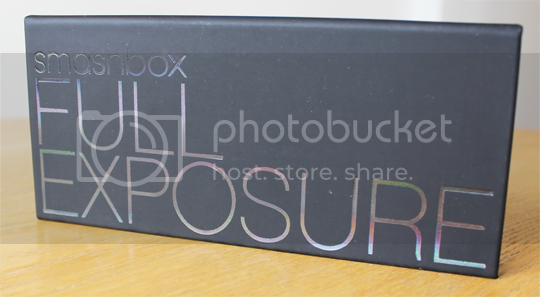 So, all in all, as I said before the Smashbox Full Exposure palette isn’t a truly bad product, it’s just not spectacular. 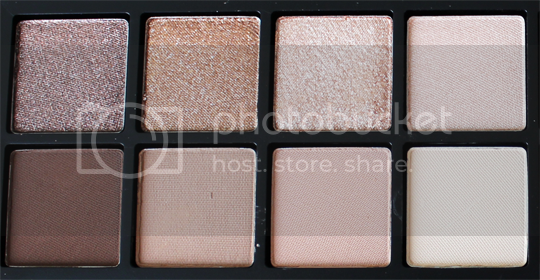 Let’s put it this way, it’s certainly not going to compromise Urban Decay’s position as Kings of the Neutral Palettes. 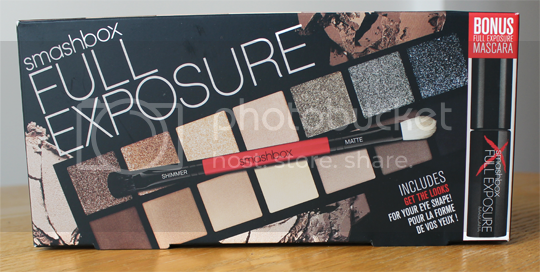 If you do want to give it a go, you can find it in Boots or online for £36.